Dove Hair Care as Low as $1.08 at Stop & Shop, Giant, and Martin! From 5/05 – 5/11 Stop & Shop, Giant, and Martin will have a great instant savings deal on participating Dove items! The deal is Spend $10.00 Save $3.00 Instantly! 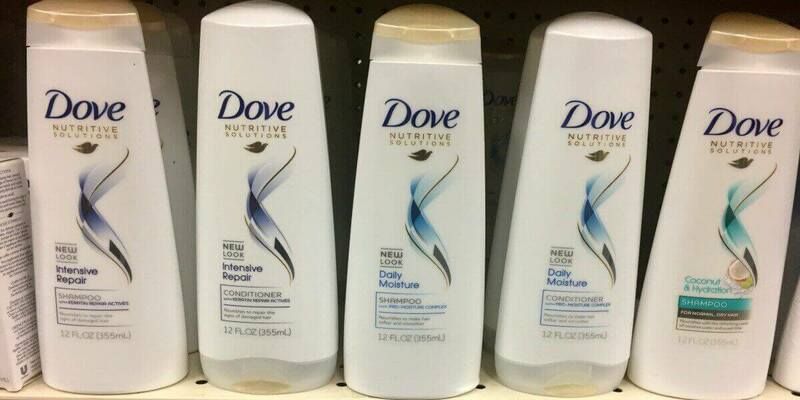 We can pick up 4 bottles of Dove Shampoo and Conditioners priced at 3/$10.00, bringing our total to $13.34. 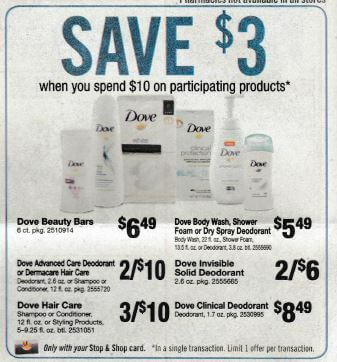 We have a $3/2 Dove Hair care products excluding Dermacare and trial, from the 5/7 Red Plum insert available. We’ll use our coupons, receive our instant savings and pay a total of $4.34! that makes each bottle only $1.08! Nice Deal! We can also pick up 2 of the new Dove Dermacare Shampoo or Conditioners, priced at $5.00 each. We have a $2/1 Dove Dermacare Hair care product excluding Nutritive Solutions and trial, also from the 5/7 Red Plum insert. After stacked offers pay just $3.00! That’s only $1.50 per bottle, and a 70% Savings! Great Deal!